Youth unemployment in South Africa is dire, with one in three young people without a job in 2018. Education is essential to improve these worrying statistics. At the Tomorrow Trust, a non-profit organisation founded in 2005, orphaned and vulnerable children from across the country are given all the necessary tools and skills to complete their schooling through a holistic approach to teaching and fostering a love for maths and physical sciences. 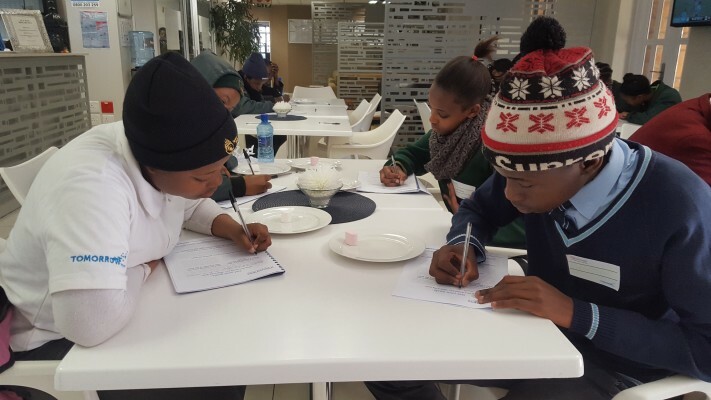 The Datatec Foundation sponsored sixty Grade 9 and 12 orphaned and vulnerable learners to participate in the Trust’s senior holiday and Saturday school programme in 2018. The Datatec Foundation has been a financial contributor of the Tomorrow Trust since 2013, as it sees the huge potential this organisation has to offer our children engagement, self-growth and understanding. “Every child should have the same opportunities, and the Tomorrow Trust recognises that every child has the potential to succeed if given the chance,” says Wilna de Villiers, Marketing and Communications Manager for Datatec. Each student is carefully and individually evaluated, to establish specialised needs that can’t be met by a “one size fits all” mentality towards education. “In this way, from the very beginning, we build a tailored programme to help each student feel like they belong and where he or she needs assistance the most,” Rae explains. The President’s recent State of the Nation speech committed the country’s education department to expand into new-economy areas such as technical mathematics, technical sciences and aquaponics. This is a huge step towards equipping the youth with the right subjects to study further in the fields in which South Africa currently has a huge deficit – engineering and ICT. However, a strong academic foundation needs to be laid down as soon as possible, with numeracy and literacy given particular attention. “The percentage of Grade 4 learners who can’t read in any language is as high as 78%, according to the Progress in International Reading Literacy Study, which is exactly why we also place emphasis on literacy,” says Rae. The Tomorrow Trust’s junior holiday school programme helps learners from Grades R to 7. Grade 7 learners graduate to the senior Saturday and holiday school programme, a comprehensive academic and psycho-social support programme focusing on building and strengthening understanding and prowess in English, mathematics, life sciences and physical sciences. The goal is to enable learners to pass their National Senior Certificate with improved results, which in turn will enable them to access tertiary-education opportunities. 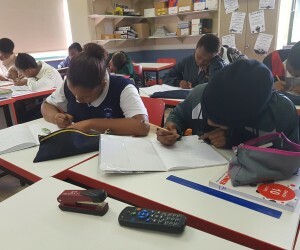 Datatec will be funding an information communication technology (ICT) focused Maths and Science Computer Programme for Grade 10s in 2019. “We are very excited to be able to introduce ICT and improve social inclusion by giving young people the skills and tools they need to safely engage in the digital world and prepare to participate in the digital economy,” says Rae. 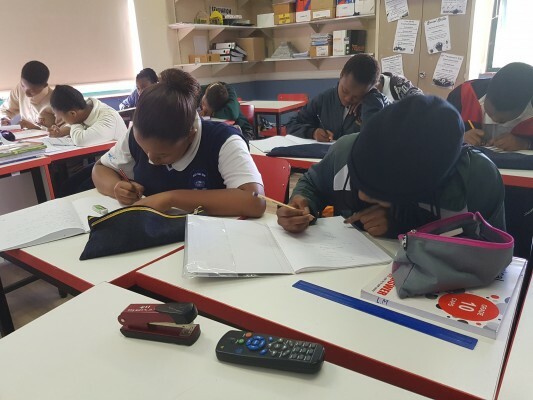 The Tomorrow Trust has seen huge improvements in their learners’ performances, and their 2018 Matric results were particularly impressive, with their pupils achieving a collective 72 distinctions.